The progression and the result of the equity-based crowdfunding campaign of readfy stunned many people – including us founders. The fact that 100,000 euros had already been invested after only 24 hours and that half a million euros were invested by 1,363 Companists within six weeks makes us the most successful crowdfunding project of the German book industry. As a specialized journalist remarked this week, readfy thus plays "...in a league of its own." We owe all of that to you and say thank you 500,000 times! But, as Spiderman's aunt told Peter Parker: "With great power comes great responsibility." Due to a strong product and a strong community behind us, we had a great start. Now, it is time we made the most of this. 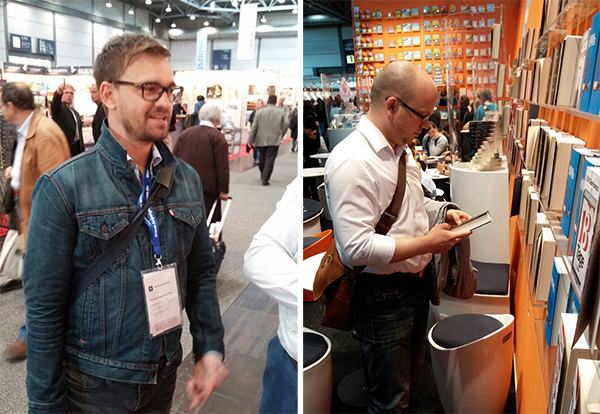 Our Trips to CeBIT and to the Leipzig Book Fair were additional milestones on our way toward the commercial launch this summer. We had very good talks with publishers in regard to additional content and with potential partners that may provide us with the reach necessary for our first large-scale campaigns. 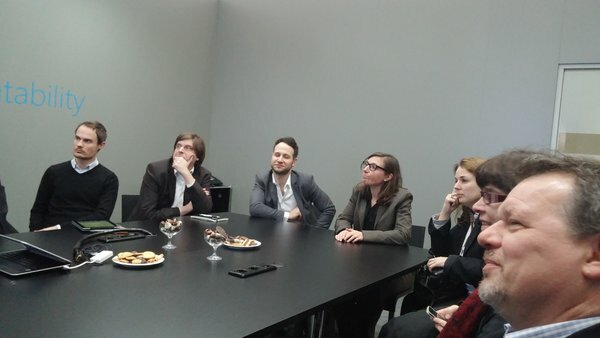 The photo above shows the BITKOM industry dialog at CeBIT, where I presented readfy. Since the app already runs very stably and the feedback has been very good, we have decided to turn the closed beta into an open beta and will inform the public of this step this week. Consequently, we may already win more users on a regular basis now without spending money on marketing. How Can You Support Us in the Next Few Weeks? As soon as we report on Facebook, Twitter, etc. that the beta will become public, you can like and share the post and tell your friends and acquaintances about it.